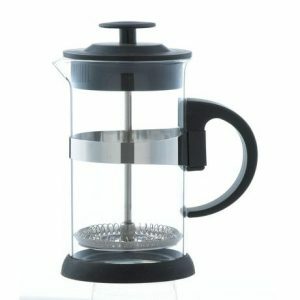 A coffee French press with a stainless steel filter and a non-slip silicone base. It’s available in 5 colours and 2 sizes. 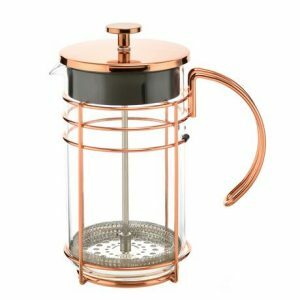 The GROSCHE ZURICH is a simple coffee French press. 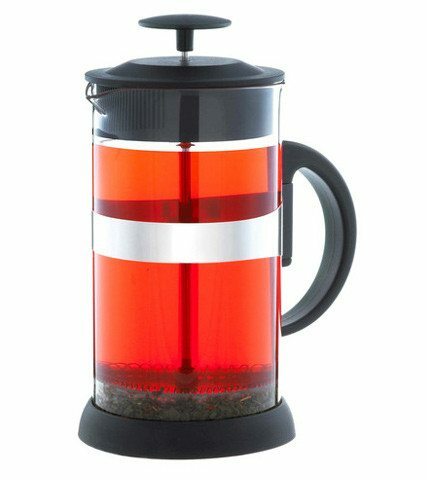 It lets you brew the perfect cup of tea or coffee whenever you want. It features a heatproof borosilicate glass beaker guaranteed not to cloud or impart flavour into your coffee or tea. 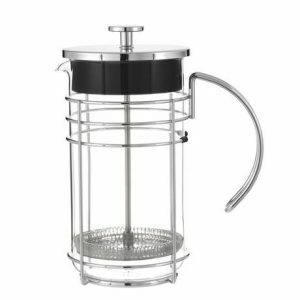 Perfect for coarse ground coffee or your favourite loose leaf tea, the ZURICH coffee and tea press allows the grounds or tea leaves to infuse within a few minutes. It produces a rich and flavourful brew that you’ll love. The ZURICH is available in five colours and two sizes. 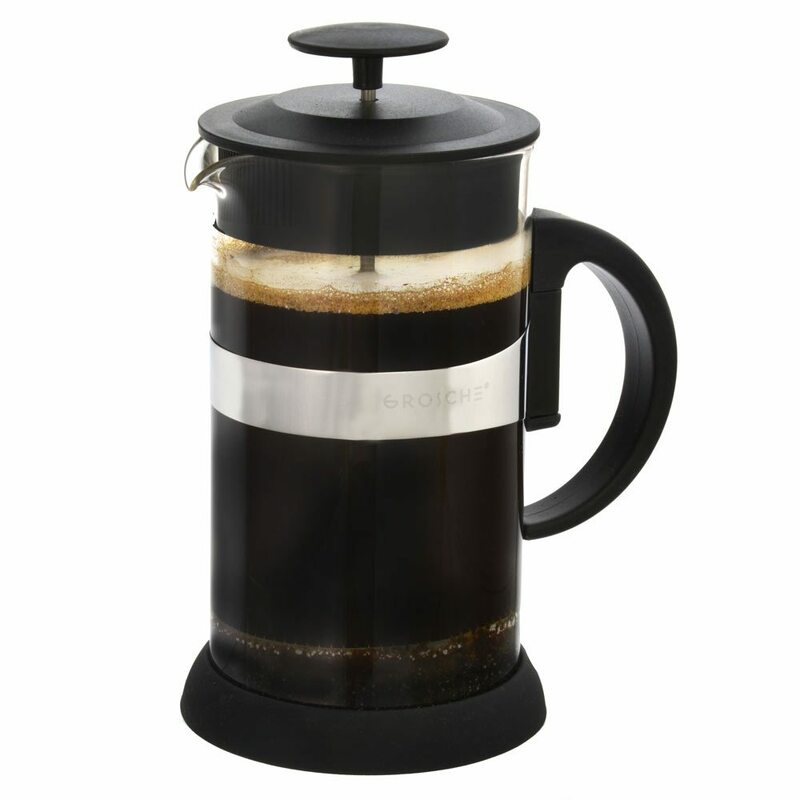 The small 3 cup / 350 ml press makes one large cup of coffee or tea. The 8 cup / 1000 ml press however, makes two to three large cups of coffee or tea, ideal for two people. 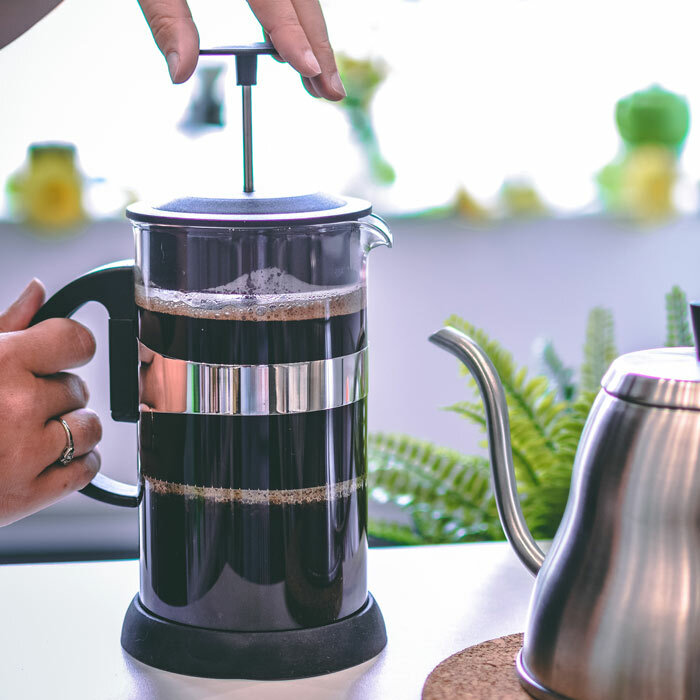 The ZURICH coffee French press features a dual filter system. This system will make sure no coffee grinds or tea leaves end up in your cup. 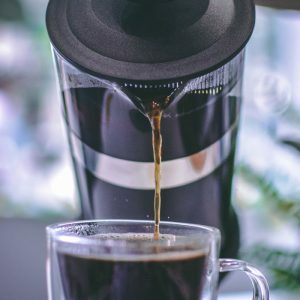 The main filter is made of stainless steel and is in the coffee press while the second filter is directly integrated into the lid. You can also turn the lid to close during the brewing or steeping process. This will ensure that your coffee or tea will stay hot longer and extract the full flavour. 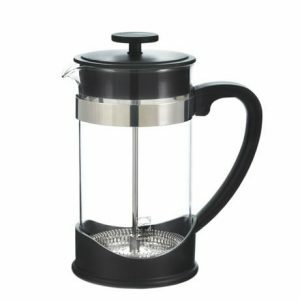 The ZURICH coffee French press uses no electricity or paper filters. This makes it a cheaper and more environmentally-friendly alternative to regular coffee makers. It features a comfortable handle to protect your hand while pouring and a food-grade silicone non-slip base. The tea and coffee maker is dishwasher-safe, but we recommend hand washing the components in order to prolong the ZURICH’s life. Simply dump or compost your coffee grounds or tea leaves, rinse, and wash with some mild soap. 350 ml / 11.8 fl. oz., 1000 ml / 34 fl. oz.